WARSAW – They say good help is hard to find. Well, it will later this year when another of the area’s more decorated officials hangs up his stripes. Jay Smith has been an official longer than most of the Northern Lakes Conference boys basketball coaches have been alive, now in his 48th year. Rather than push for a round number of 50, Smith is preferring to hang it up while he’s ahead (and still has his knees and ankles intact). Jay Smith confers with the scorer’s table at West Noble recently to iron out a foul situation. Smith has been an official since 1971, getting his start in a metaphorical way, which actually became his introduction into the profession. Smith worked up to boys basketball sectional duty in 1977 and worked the inaugural girls basketball state tournament in 1976. Smith stated he’s worked all but one girls basketball state tournament, and in total with the boys, has done 82 sectionals, 65 regionals, 25 semi-states and eight Indiana state finals as well as a yeoman’s share of college, junior high and rec league action. He’s been fortunate to work with his brother, Tim, and Trent Long as a crew for years. Smith was named the IHSAA Outstanding Girls Basketball Official in 2001 and the same for the boys in 2010. 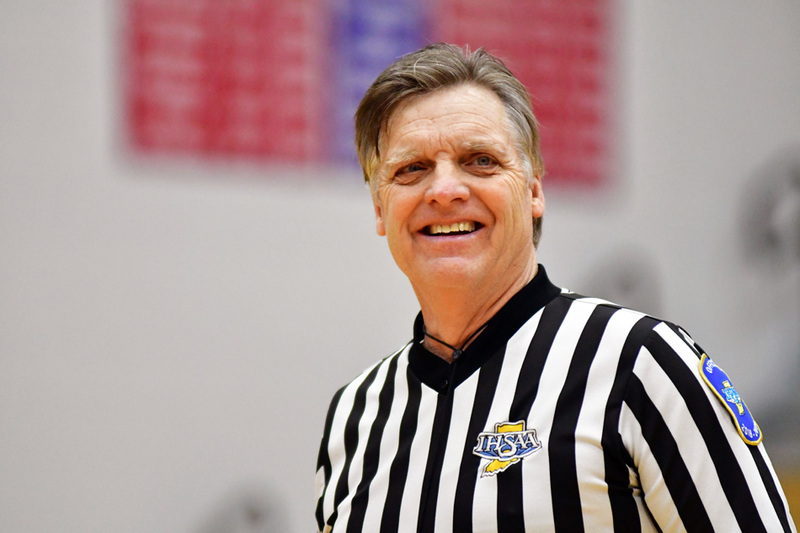 In 2009 he was awarded the Indiana Basketball Hall of Fame Circle Center Award, and in 2015, he was awarded the Mildred Ball Award for excellence in basketball officiating. Many in the area also know Smith as a football coach, where he worked the sidelines at Wawasee Middle School for a good part of near three decades, 29 years all told. He also did cross country, track and wrestling coaching at the middle school level, and right away tossed out winning 25 conference titles among the lot, something he is very proud of as a coach. 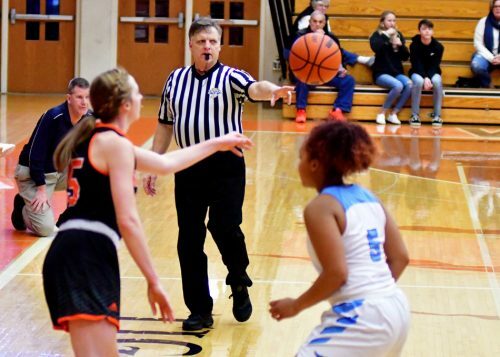 Jay Smith has been officiating Indiana high school girls basketball games since its inception in 1976. But it comes back to working with young people and staying active, which is what drove him for nearly five decades. Finding niches among the work is what makes officiating both challenging and rewarding. “After you’ve worked this for a while, you learn to diffuse coaches,” Smith said of building longevity. “I’ve learned how to. You talk to (Eric) Coburn, (Kirk) Robinson, (Lance) Grubbs, you figure out how to diffuse them. You go over to the coaches, they’re all upset, talk to them, say something to them that’s lighter. I’ll get the next one. You lighten the mood. Some officials get uptight, can’t talk to coaches, they lose the moment. 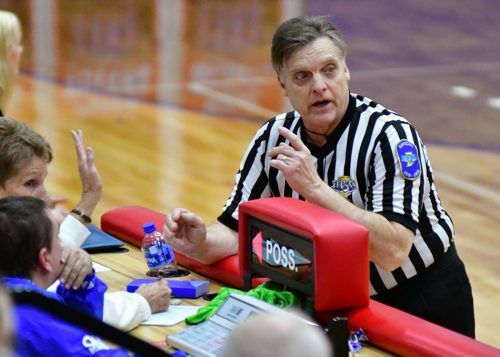 Smith hopes to work through the regional level of the high school state basketball tournament this winter, then wade off into the sunset as most referees do. Saying they are done, then continuing to officiate on a smaller capacity. Because even Smith agrees, officials never really retire.